The Ministry of Education and Higher Education in the occupied territories was established in August 1994 – one of the most significant outcomes of the Oslo Accords. (1) Education is highly prized and enrolment in basic education (the first 10 years of schooling) is 89.8% with gender equal attendance. Adult literacy rate is 95.3. (2) However against this promising scenario is the reality of military occupation which has far-reaching and detrimental consequences. Villages are subject to persistent night-time raids which result in sleepless nights and a distressed population. As part of their system of control the Israeli Army regularly rounds up youths, the most common justification being stone throwing. ‘According to the Israeli military authorities, they detained 1,004 Palestinian children from the West Bank in 2013.’(3) Children have limited access to education in prison, and are also traumatized by the abuse they experience. The military show no respect for educational facilities. 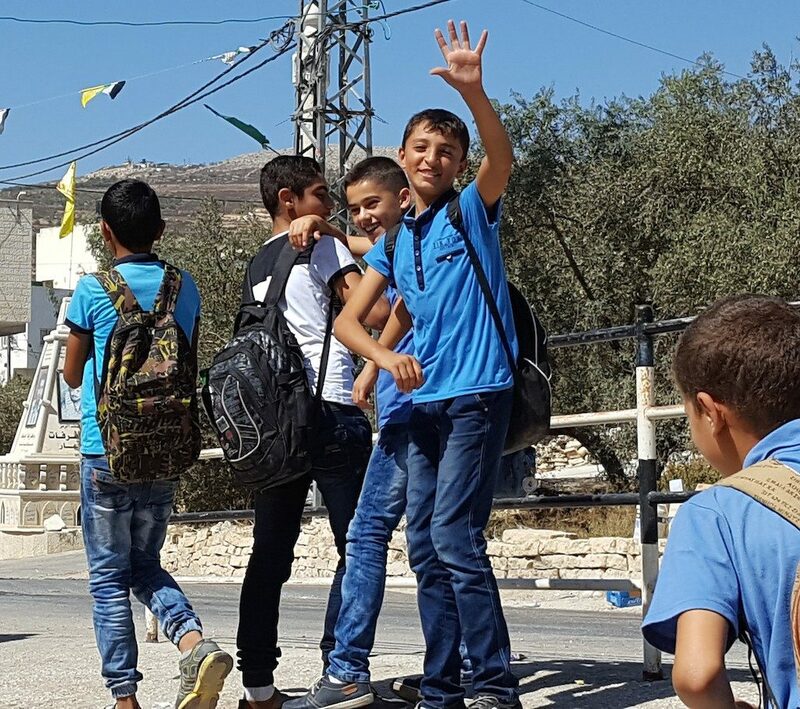 During the Gaza assault in the summer of 2014, educational facilities on the West Bank were regularly used as holding centres where the entire male population of villages was held for questioning. In Burin, we have often witnessed the military set up flying checkpoints or roadblocks. The roadblock would be put in place at midnight restricting access to all Palestinian vehicles. 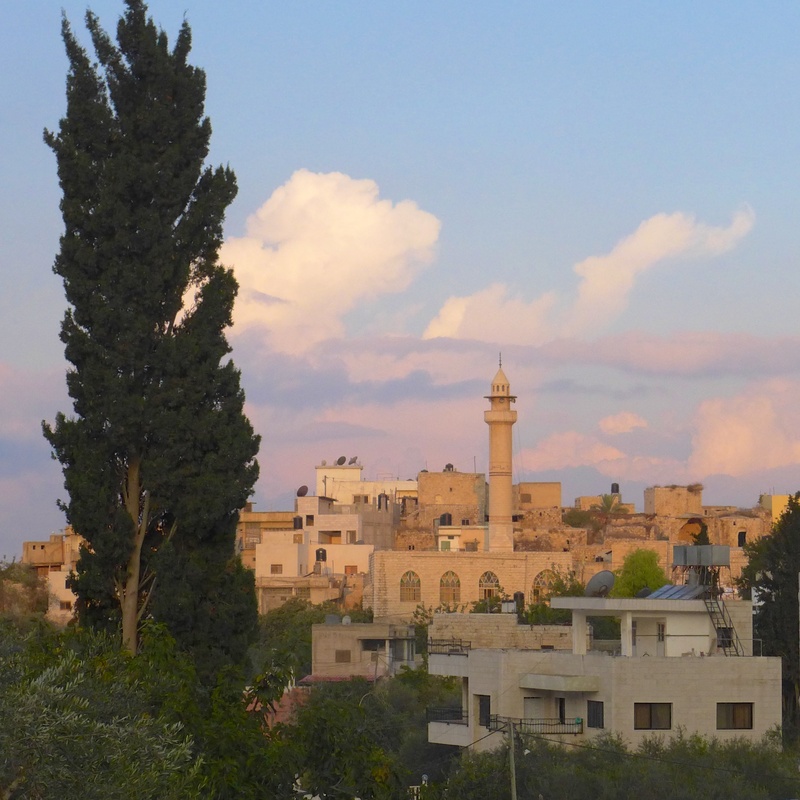 As many teachers live in Nablus (11 of the 18 teachers at the Community School, and 9 out of the 18 teachers at the Girls’ School), they are unable to get to work in the morning. The reason given is always ‘security’. Roadblocks tend to disappear at around noon once the day’s schooling has been abandoned and children return home, losing another precious day. 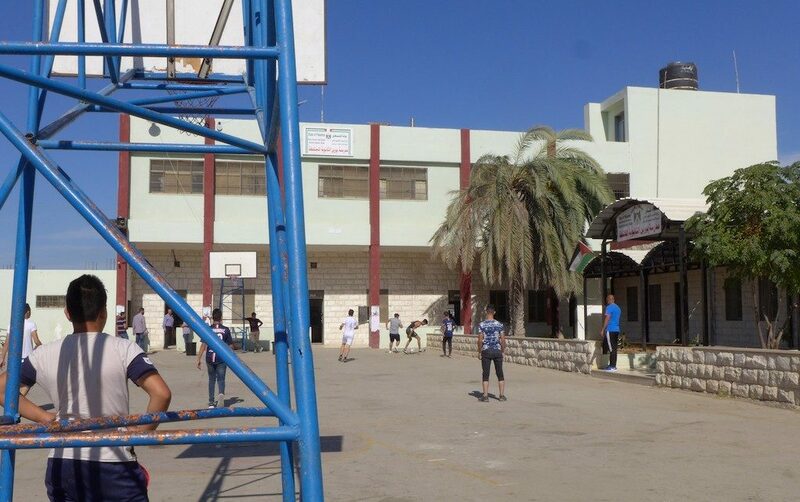 These factors combine with poor facilities, overcrowded classes and in some schools a two-shift system, altogether causing a drop in Palestine’s formerly excellent record of academic achievement. August 2017 – Israel destroys Palestinian schools just before term starts More aggression on the part of Israel has resulted in the destruction of classrooms in four Palestinian communities of the West Bank. The justification? No planning permission. Most of these classrooms were steel cabins donated by NGOs and the EU, now destroyed. The same justification was used by Israeli authorities to remove dozens of solar panels donated by the Netherlands. One step forward, ten backwards. Meanwhile, the deprived schoolchildren are forced to have classes in stifling tents or out in the very hot open air. For more information, read this report by The Independent. Burin Community School is particularly vulnerable due to its location on the edge of the village of Burin. Directly behind the school a settler road leads uphill to Yitzhar, an extremist, ideological settlement and statistically one of the most aggressive towards Palestinians. Beside the road, barely 100 metres behind the school fence, the Israeli army have built a watchtower. Soldiers can therefore monitor school activities and pupils can clearly see them while playing in the yard. The view of the school below is from the back fence, so only about 100 metres from the watchtower (behind the camera). 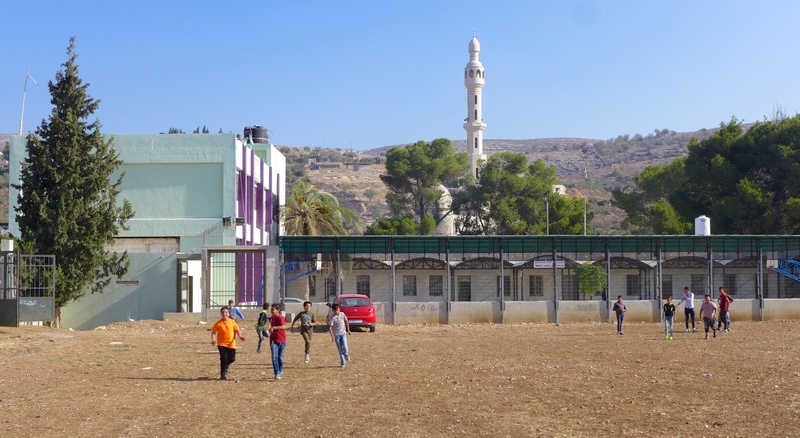 A typical incident When trustees visited the school one morning in October 2015, they saw three Israeli soldiers leave the watchtower and stroll towards the fence. While the boys played during break, one soldier raised his gun, terrorising the children in the playground before they ran to their classrooms. The soldiers just laughed and walked away. The headmaster said this is a daily occurrence. In the current climate, any boy who throws a stone, or even picks one up, would be shot at, yet in the Occupied Territories no-one can stop the soldiers’ provocative behaviour. 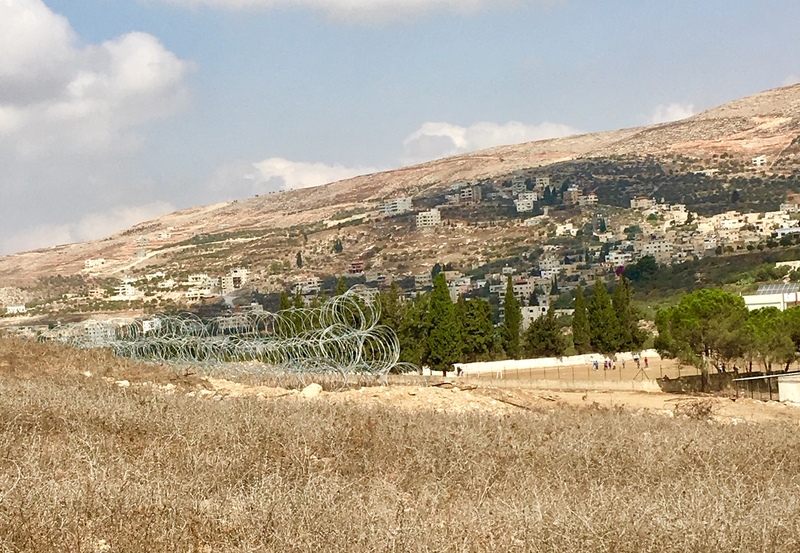 Over the years, settler attacks have escalated and become increasingly violent because, with the army virtually supporting them, they act with impunity. 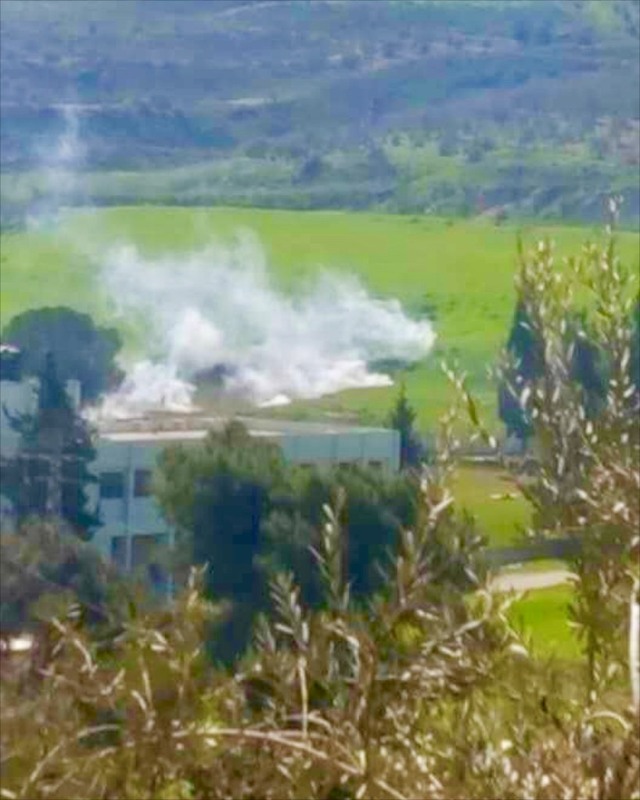 In March 2018, armed settlers entered Burin’s school playground while the army threw smoke bombs and tear gas, seen above in a photo taken by a student. Most pupils fled, some suffocated by the smoke and tear gas. 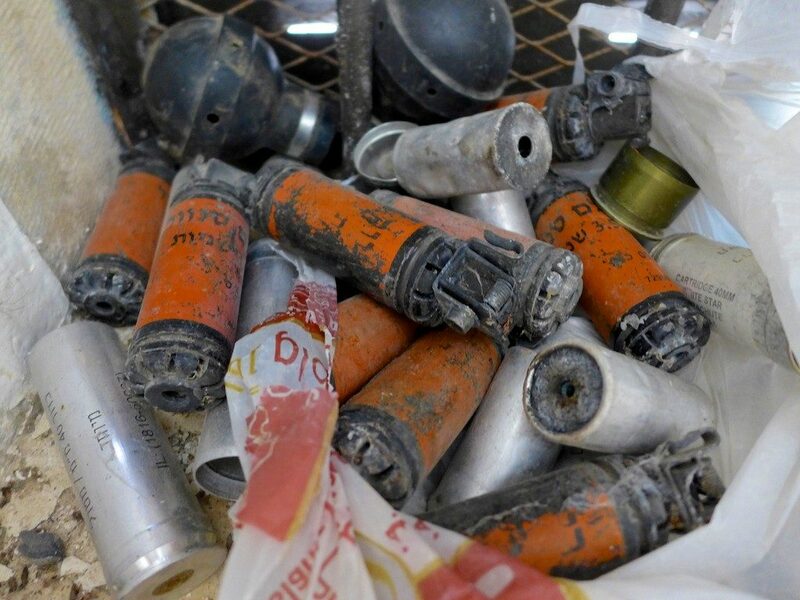 The photo below shows the souvenirs the army left behind. Since then the settlers have taken some 40 acres of school land and erected a razor-wire fence to show the new ‘border’. 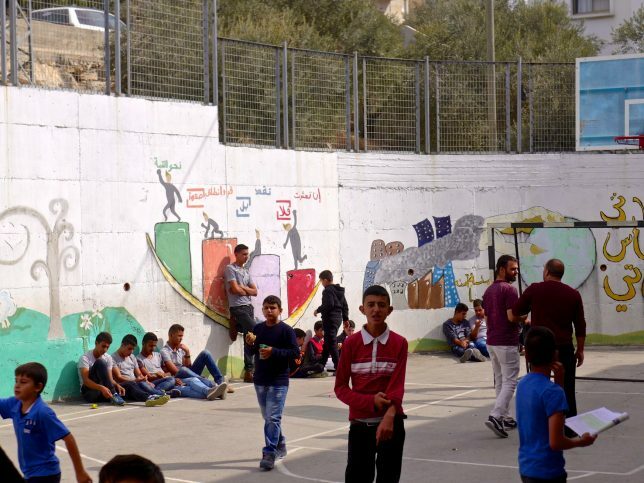 In the photo below, the school playground is easily visible beside the white wall as are the rolls of razor-wire on the hillside. Teaching is a stressful and demanding occupation in any country, but for Palestinians the demands are superhuman. The teachers we meet, however, respond with warmth and friendliness and deep concern for the well-being of their pupils. A well-educated population is crucial to the future State of Palestine. 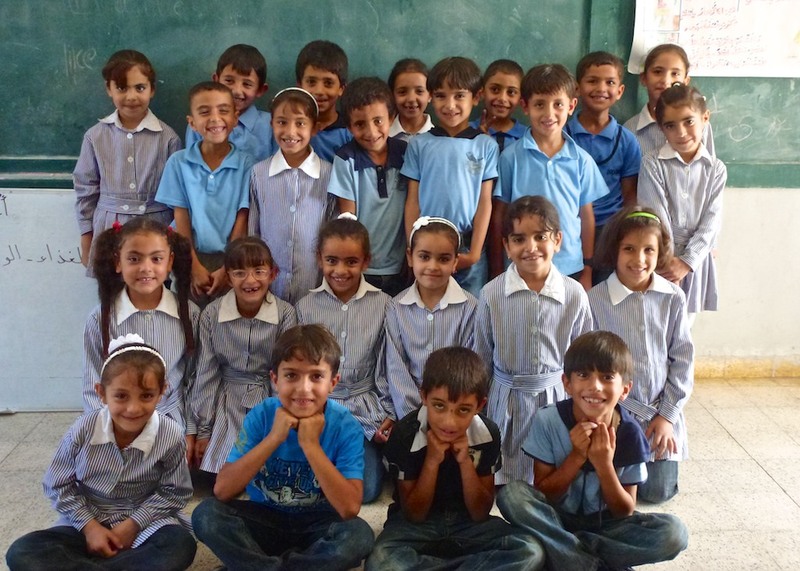 In Palestine, education for boys and girls is equally valued although it generally takes place in separate schools. University enrollment is currently 52% female and 48% male, so our focus is more on the boys’ schools as the girls’ schools in Burin and Madama already enjoy far better facilities. While as individuals we have limited influence on the political situation, we are learning that we can be of considerable help in improving school facilities in our area and so contributing towards a more positive future.